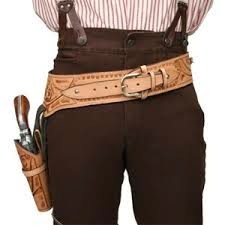 Update (May 31, 2015): On Friday, Texas lawmakers approved legislation that allows citizens who have a concealed handgun license to openly carry handguns in plain view in belt or shoulder holsters. The is on its way to Gov. Greg Abbott, who promised to sign it. In a concession to law enforcement groups, lawmakers removed a provision that would have prohibited police from stopping someone to check for a gun license simply because that person was carrying a handgun openly. The Texas House of Representatives approved the legislation 102-43, with just five Democrats joining the Republican majority. The bill passed the state Senate with 20 Republican votes in favor and 11 Democratic votes against it. On Friday, April 17, the Texas House of Representatives voted 96-35 in favor of House Bill 910, which extends the rights of citizens who have a concealed handgun license to allow them to openly carry a holstered handgun. A similar bill passed the Texas Senate last month; the two versions must be reconciled before heading to Republican Gov. Greg Abbott for signing. Abbot is likely to give the measure his approval. During a February press conference, he said, “I will sign whatever legislation reaches my desk that expands Second Amendment rights in Texas,”according to The Texas Tribune. Currently, Texans who want to carry a handgun in public must have a concealed handgun license and are required to keep the gun hidden. State law allows residents 21 and older, as well as those on active military duty, to obtain a license after undergoing a background check, taking classes and passing written and hands-on tests. Some form of open carry of handguns is allowed in 44 other states, though some require permits or licenses, and others restrict the times or places when open carry is allowed. If Texas legalizes open carry, only California, Florida, Illinois, New York, South Carolina and Washington, D.C. will still have outright bans. Texas already allows people to purchase and openly carry rifles and shotguns without permits, which has prompted gun-rights groups to carry assault weapons into stores and outside the Texas Capitol in order to bring attention to what they see as an arbitrary legal distinction. The national median of citizens who own a gun is about 40 percent, which is higher than the 35.9 percent percent of Texans citizens who own a gun. Texas voters’ opinions are divided on open carry, with a minority in favor. A joint University of Texas-Texas Tribune poll released in February showed that only 32 percent of Texans support open carry, with another 45 percent in favor of allowing those with licenses to carry a concealed handgun, but not openly.